Is the name of an airline (or indeed any other product) that important? One of the most successful British carriers in the nineteen sixties and seventies was Dan Air, not named after a certain cartoon character, the UK version of Superman, but the abbreviation of Davies and Newman, a shipping company. The name Etihad is an ethnic term. It has not stopped it becoming one of the most powerful and influential of Middle East airlines. It was only created in 2003. 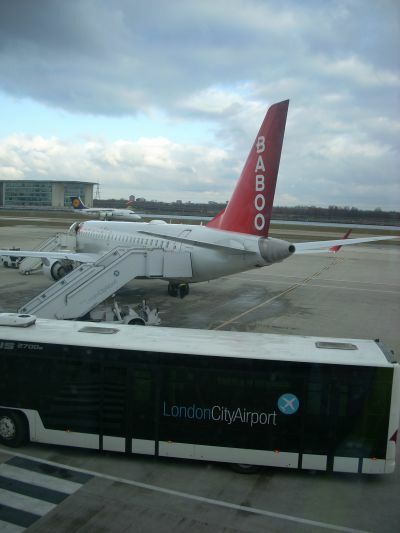 And now we have Baboo, an airline that has been in existence, also since 2003, and landed in the UK in October last year with its first routes Geneva to London City, and a weekly skiing flight from Oxford Airport. Oxford is hardly the centre of air travel (except for executive jets), and according to Chief Executive Jacques Bankir, whilst it could have done better he says that they were late into the market last year. He has confirmed that the route will again be operated next winter. As for London City the route has surpassed expectations and is currently running at a 60% load factor. A twice daily operation, the service is currently flown with a 74-seat Bombardier Q400 in a code share with Air France, its CityJet subsidiary now the largest operator at the East London airport. Baboo is unique in that it offers (hot) soup on its evening sectors. The Q400 is a one class operation with the timings ideal for a day visit from Geneva. In the other direction it works out well too as the Swiss city is tiny compared with London and 15 minutes is all that is required to get to most places in town. Baboo says that the originating traffic is split 50/50. On the cards is a plan to replace the Bombardier with an Embraer 190 at busy times. Quicker, larger, and even more quieter. Details will be announced once the steep approach paperwork is complete, the aircraft already having completed the necessary test landing with a full passenger load at LCY. London City was chosen as Bankir felt that there was room for another carrier in the London – Geneva market (BA having pulled out of City to Geneva), the competition being British Airways, Swiss, and in a different market sector easyJet. He is also a fan of the airport as the CEO of CityJet when it was taken over by Air France in 1999. His long industry career includes CEO of the French airline Régional, and for many years at Air France where he was head of the CDG Project, Deputy VP Cargo, VP North America, VP Airport, VP In-flight Services and VP Planning. The name Baboo has Indian origins. The original founder of the airline, Julian Cook, now Chairman but very much non-executive, could trace his ancestry to the sub-continent. There are several interpretations according to Wikipedia none on them over sensational. However Dan Air worked for that airline. From its very inception Baboo has meant a quality airline with great emphasis on passenger/staff relationship, and with both the Q400 and Embraer very comfortable aircraft, a quantum step from the alternative budget carrier competing on some of its routes. There is little doubt that loading and flying 72+ people on a 34” seat pitch 2+2 aircraft is a far less exhausting experience than 150 with 29” and 3+3. With the same Q400 Flybe manages 78 passengers with a 31" space between the seats. The Baboo lounge at Geneva Airport is not for passengers but for staff. It is a carrier which places much emphasis in keeping its employees happy. Eligible passengers can use the Horizon Lounge on the mezzanine floor of the airport. With the Geneva – Zurich route losing money the airline was in serious financial trouble by 2007, to be rescued by M1 Group of Beirut, with a substantial cash injection of €9.2m. 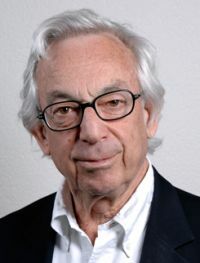 This enabled plans for the acquisition of the Embraer aircraft to go ahead, and later the appointment of Jacques Bankir. Zurich was dropped. Baboo has grown consistently. From 20 employees in its early days, it numbers 200 today. It currently serves 18 destinations (charters excluded) from Geneva (and connections from London City, Marseille, Milan, Nice, Naples and Rome) which breaks down into permanent and seasonal destinations. The airline has not published its summer timetable yet (from 28 March) but this is expected to be much in line with the previous year, plus the UK routes. Rome (Fuminchino) is the number one destination but London City is catching up fast. Connection business is developing at London City on the Dublin and Edinburgh routes and Plymouth with Air South West is another possibility.